Your search returned 21499 results. Living the 7 habits : stories of courage and inspiration / Stephen R. Covey. Material type: Book; Format: print available online ; Literary form: Not fiction Publisher: New York : Simon & Schuster, c1999Other title: Living the seven habits.Online access: Contributor biographical information | Publisher description | Table of contents only | Sample text Availability: Items available for loan: Butte Public Library [Call number: 158 COV] (1). Annals of gullibility [electronic resource] : why we get duped and how to avoid it / Stephen Greenspan ; foreword by Donald S. Connery. Material type: Book; Format: electronic available online ; Literary form: Not fiction Publisher: Westport, Conn. : Praeger Publishers, 2009Online access: Click for information Availability: Items available for loan: Butte Public Library [Call number: 155.92 GRE] (1). 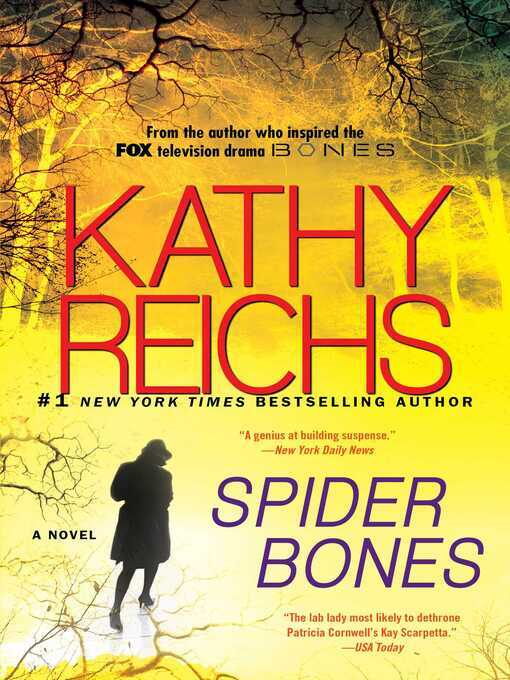 Spider bones a novel / Kathy Reichs. Material type: Book; Format: available online Publisher: New York : Scribner, 2014Online access: Click here to access MontanaLibrary2Go title or place hold | Image Availability: Items available for loan: Butte Public Library [Call number: F REI] (2). by Kuperman, Leon [author.] | Project Gutenberg. Kritik der reinen Vernunft [electronic resource]. by Kant, Immanuel, 1724-1804 [author.] | Project Gutenberg. The Ladies' Work-Book [electronic resource]. by Unknown (Musician) [author.] | Project Gutenberg. by Austen, Jane, 1775-1817 [author.] | Project Gutenberg. The Last of the Barons; Complete [electronic resource]. by Lytton, Edward Bulwer Lytton, Baron, 1803-1873 [author.] | Project Gutenberg. Leaves of Grass [electronic resource]. by Whitman, Walt, 1819-1892 [author.] | Project Gutenberg. The Legend of Sleepy Hollow [electronic resource]. by Irving, Washington, 1783-1859 [author.] | Project Gutenberg. The Legends of King Arthur and His Knights [electronic resource]. by Knowles, James, Sir, 1831-1908 [author.] | Project Gutenberg. Les Fleurs du Mal [electronic resource]. by Baudelaire, Charles, 1821-1867 [author.] | Project Gutenberg. by Hugo, Victor, 1802-1885 [author.] | Project Gutenberg. Les miserables Tome I [electronic resource]. by Hobbes, Thomas, 1588-1679 [author.] | Project Gutenberg. The Life and Opinions of Tristram Shandy, Gentleman [electronic resource]. by Sterne, Laurence, 1713-1768 [author.] | Project Gutenberg. The Life of Robert Louis Stevenson for Boys and Girls [electronic resource]. by Overton, Jacqueline, b. 1887 [author.] | Project Gutenberg. Life on the Mississippi [electronic resource]. Lineage, Life and Labors of José Rizal, Philippine Patriot [electronic resource]. by Craig, Austin [author.] | Project Gutenberg. by Dickens, Charles, 1812-1870 [author.] | Project Gutenberg.